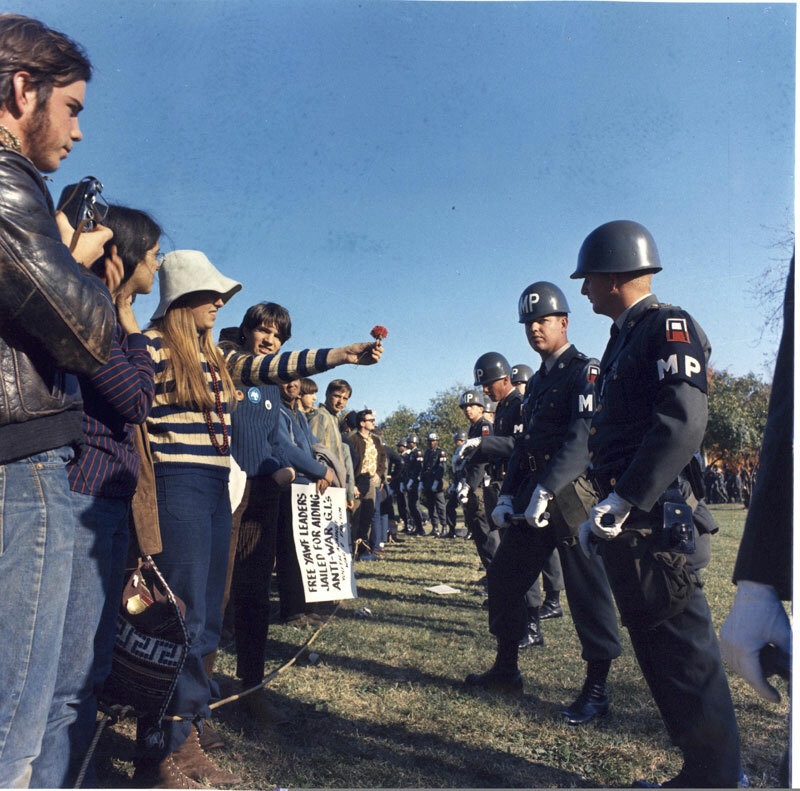 On this day in 1967, some 100,000 people marched on the Pentagon to protest the Vietnam War. There is a wealth of primary source available related to that action. Items can be found at the National Archives and Records Administration, at the website of the Federal Justice Department’s U.S. Marshall’s Service, and the Vietnam Center and Archive at Texas Tech University. Another rich source of material related to the protest is YouTube. On that site, a search for “pentagon protest 1967” yields a number of videos – including newsreels – that depict what happened when the protest moved from the Lincoln Memorial to the Pentagon. The picture above, taken at the Pentagon that day, is from the National Archives.